May is Small Business Month. 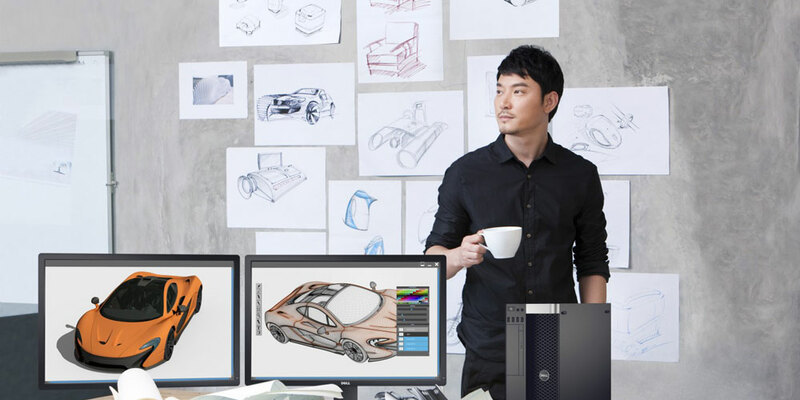 Dell is celebrating Small Business month with a 4-part small business series discussing hot trends in small business. Stay tuned for next week’s piece or view last week’s virtual reality piece. I work with businesses that are just getting started or just hitting a period of growth every day and one common frustration among passionate owners is servers: what they are, when they are needed, and how to go about getting one. It doesn’t need to be overwhelming to know when your small business is ready for a server. If you use two or more computers to share scanners, information or internet access, a small business server will benefit you. Servers not only make things simpler, they boost your business security and productivity. Before servers became widely available, only large organizations were able to afford servers. Today, servers are easy to implement and affordable. Servers store, process, manage and send data 24/7. You store important data and files that should be protected from unauthorized access, loss or corruption in two or more computers. Accounting programs and customer relationship management software are needed to communicate with vendors and customers. Managing several versions of a single file is necessary for business operation. More than one computer need to share internet access, fax machines and other office equipment and resources. A central communication system is needed to share information with clients, staff and vendors and organize group meetings. You want to access your computer files from anywhere without any problem, backup important files on several computers or restore previous versions of files or files that were accidentally deleted. Employees need to share software tools. If there are times when you cannot access your files or shared resources, you have trouble finding information quickly, you want to protect your files from malware and viruses or there’s not enough storage space, you should consider installing a server. A server allows you to share and access information and resources anytime and anywhere with no effect on performance. It can serve as the main storage space for the latest file versions. You can configure it to arrange and manage network resources. Anyone can get the required resources whenever they need it. Servers can help you control your staff’s access to data. You can control who has access to what, keeping private information from unauthorized personnel. A server can manage and secure computers on the network from one location, so you can have peace of mind. It also allows you to create a backup of your files from a central location, allowing you to resume normal business activities if disaster such as storms hits your area. A server can update every computer on the network at the same time. You do not need to open each computer and install the updates one by one. With a server, you save time and money in the long run. You can configure the server to guarantee safe, remote access to software applications and files. This allows you and your employees to work anytime and from anywhere. A properly installed and maintained server will improve your productivity and keep your company safe and help you succeed.